How do design an effective infographic for a recipe? Chai is ubiquitous in India - served in scant shot glasses from dawn to dusk. This infographic is for Chai lovers who want to learn how to brew a perfect cup of authentic Indian Chai. 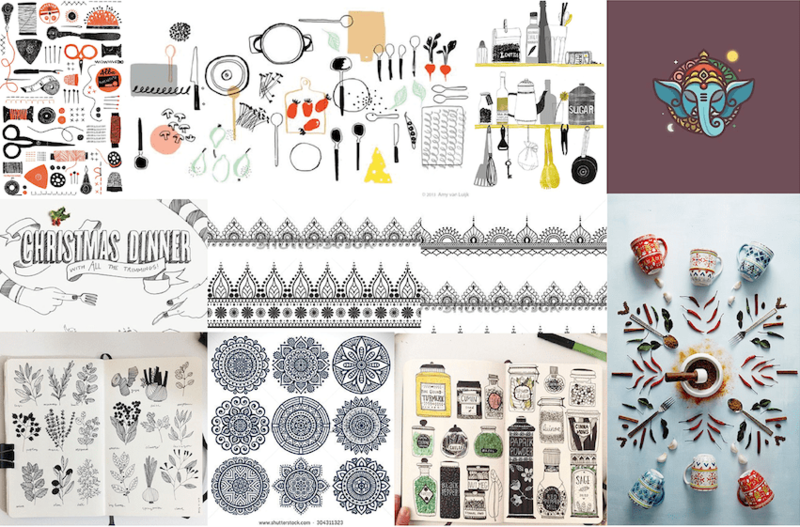 My aim was to create a style that depicts the complexity of Indian motifs, but is still clean and light. I decided to create black and white hand drawn illustrations with few accent colors for pop. After making the basic layout and flow of the infographic, I iterated through the header section to create a strong entrance for the infographic. Creating the header was the toughest part of the design. 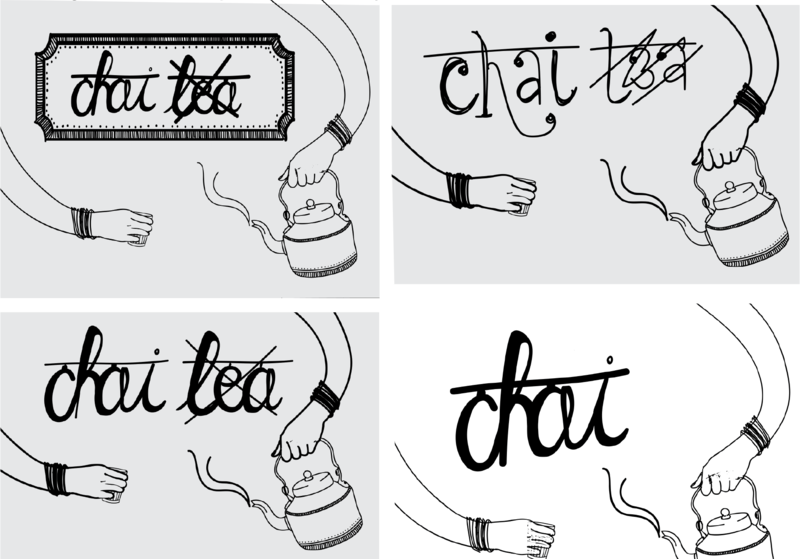 Having the word "tea" crossed off was taking away the focus from the word "chai". The organic hand illustration was not working with the rest of the layout. 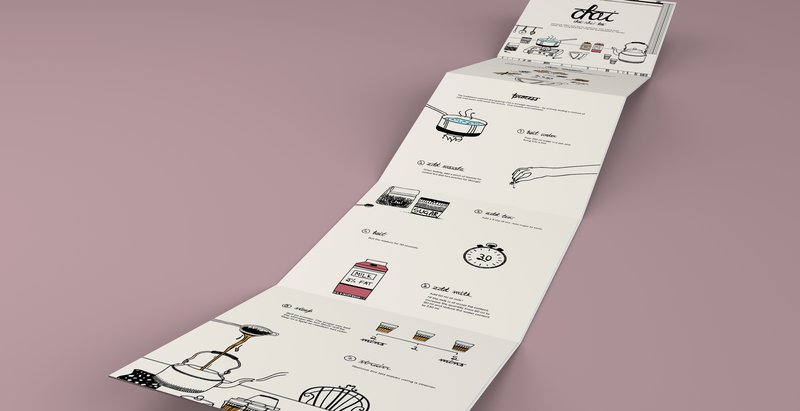 I wanted to create a story with the infographic - starting with the tea being made and ending with the tea being served with snacks. 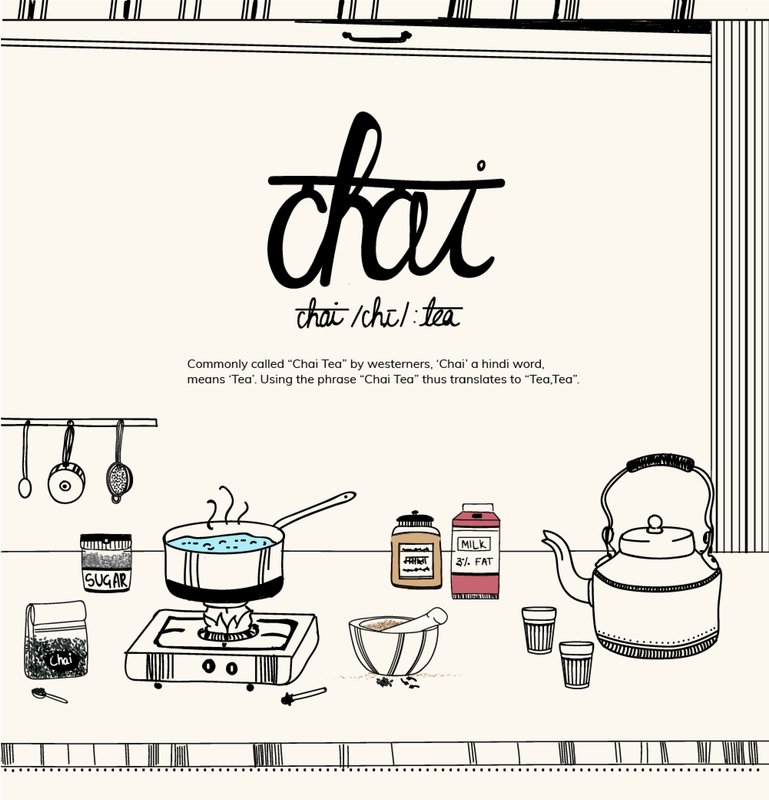 The infographic ends with the chai being strained and served with Samosa, a famous Indian snack. The biggest challenge in this project was to connect and fit the organic hand drawn illustration style in a grid to make information easy to read and scan. I enjoyed depicting something that such an important part of everyday life in my country through this fun illustration style.